Exogenous ketones come from a synthetic source–they are not produced in the body. Those are endogenous ketones, produced by the body during fasting, or while following a ketogenic diet–but this can take weeks or months. With the advent of exogenous ketones, scientists have developed a way to raise ketone levels significantly and safely without the need to fast or diet. For years, ketones got a bad rap; they were associated with ketoacidosis and diabetes. But emerging research shows moderate levels of ketones can increase health and performance, contrasting the extreme levels occurring during ketoacidosis. Exogenous ketones provide the body with another fuel to employ. Think about it like an electric car that runs on both gas and electricity: by consuming ketones along with carbohydrates, the body will preferentially burn the ketones first, saving the carbohydrates for later. Exogenous ketones allow us to enter a metabolic state that wouldn’t occur naturally: the state of having full carbohydrate stores, as well as elevated ketones in the blood. This could be advantageous to athletes looking to boost their physical performance. Our bodies are produce three types of ketone bodies for fuel: beta-hydroxybutyrate (BHB), acetoacetate (AcAc), and acetone. Each is used by the body differently. Acetone is the least abundant, produced in much smaller amounts, and is usually exhaled through the lungs rather than being used as fuel. Acetoacetate is part of the metabolic pathway whereby humans make and use ketones, but it tends to be found in the blood at lower levels than BHB. 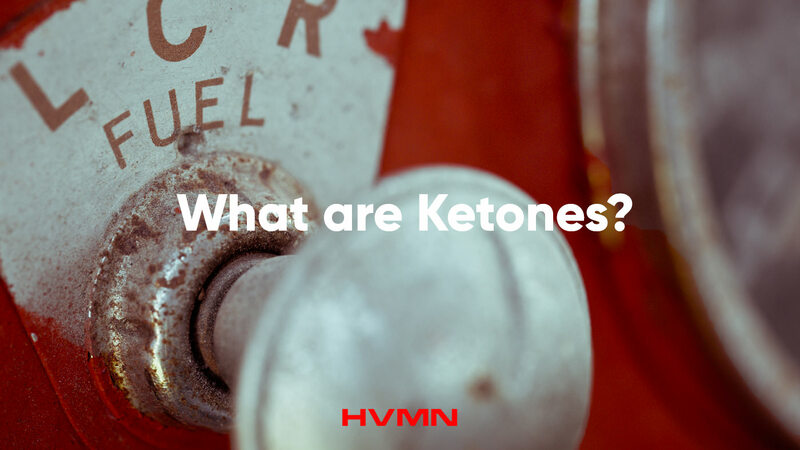 BHB is the predominant ketone body in the blood, which is why it’s most often used in exogenous ketones. Ketone salts are powdered supplements consisting of a ketone molecule bound to one of several mineral salts: sodium, calcium, magnesium, or potassium. Despite the recent growth of the ketone salt market, there is very little published work analyzing the effects of these products on any biomarkers or performance measurements in humans. Several studies have been carried out in rats, with blood BHB levels being relatively low (<0.5 mM) post-consumption of salt drinks. In humans, ketone salts provided peak D-BHB levels of 1 mM, whereas the same amount of BHB in a ketone ester (BD-BHB) raised blood BHB to 2.8 mM. It’s also important to note there was a high amount of L-BHB in the blood after salt drinks (> 2 mM). L-BHB took far longer to be removed from the blood compared with D-BHB, indicating that L-BHB likely has a different metabolic fate than D-BHB. Recently, two published studies investigated the effects of ketone salts in athletes (total n = 22). Performance over a four-minute cycling time-trial and a 150 kJ ( ~11 mins) cycling time trial were compared between ketone salts vs. carbohydrate. In the four-minute trial there was no change in performance, and in the 150 kJ test, performance decreased by 7%. Blood BHB levels peaked at 0.6 and 0.8 mM in these studies. Some commercial ketone salt supplements contain other ingredients such as Medium Chain Triglycerides (MCTs), caffeine, and even carbohydrate, but it is unknown if adding these ingredients will help or hinder the effects of the ketone salt consumed. Ketone esters are salt-free liquids in monoester (one), diester (two), or triester (three) form. Instead of being bound to a mineral (like ketone salts), the ketone molecule (BHB or AcAc) is bound to a ketone precursor (e.g. butanediol or glycerol) via an ester bond. While there aren’t as many esters on the market as salts, there is still some variance–especially when looking at the ketone molecule in these products. Before selecting the best one for you, it’s important to gather all the necessary information to make your decision. With single doses of the D-BHB ester as a sports drink, gastrointestinal (GI) side effects are rare. 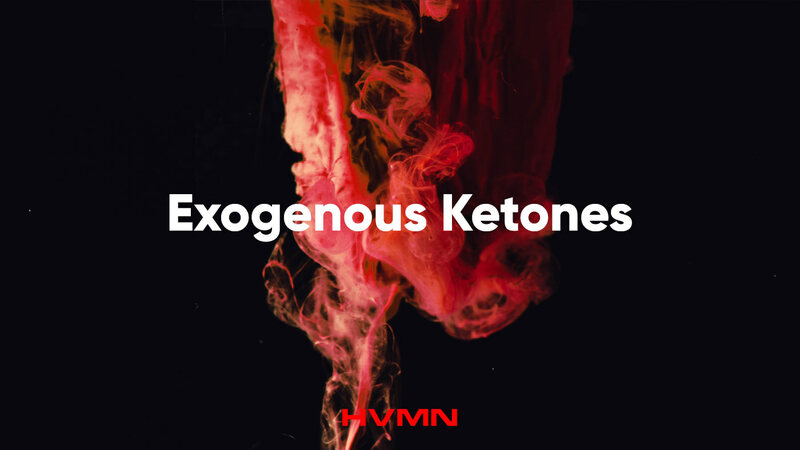 Some studies have reported mild GI side-effects of HVMN Ketone drinks at extremely high doses (4x serving size) or when given in a thick, meal replacement formulation. However, other studies of athletes reported there were no side-effects of ketone ester drinks hindering sport performance. The first ketone ester was developed in the late 1970s and more were developed in the mid-1990s. Currently, two different ketone esters are under active investigation in rodents and humans. Both can rapidly elevate blood ketone levels up to 7 mM. A research group at the University of Oxford and National Institute of Health received funding from the US Military to develop one of these ketone ester compounds: R-1,3-butanediol-R-3-hydroxybutyrate (BD-BHB). This is the ketone ester in HVMN Ketone. When taken as a drink, the ester bonds are broken down to release butanediol (BDO) and D-BHB into the blood. BDO is easily metabolized by the liver to form D-BHB. Then, both molecules of D-BHB reach the blood, as the liver is unable to use ketones. 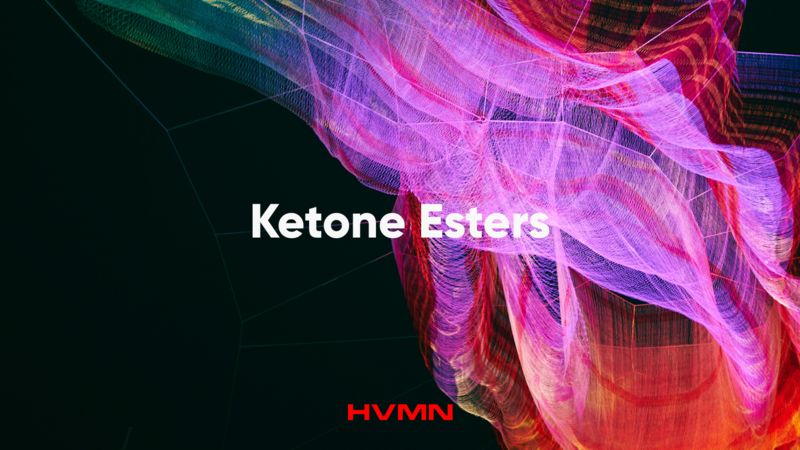 Consumption of this ketone ester elevates blood ketone levels in humans safely, with few side effects.10HVMN Ketone is WADA compliant and safe to use in all levels of sports. It is designated as a foodstuff and is FDA GRAS. Each lot is 3rd party certified and batch tested for banned substances. The second ketone ester compound was developed at the University of South Florida. This is a diester of AcAc and BDO. In rodents, this ketone ester raises blood D-BHB to 1-4 mM and blood AcAc to up to 5 mM.There is one published study of this ketone ester in humans; results showed a 2% decrease in 31 km cycling time trial performance. This may be due to the high rate of side effects of this ester studied. Other factors may have been low levels of BHB (<2 mM), the short, high-intensity time trial used, or the use of AcAc vs. BHB. Read Geoffrey Woo’s take on that study and a published response to the science journalby Dr. Brianna Stubbs and Dr Dom D’Agostino to find out more. The importance of your overall experience. Do you care about price, taste, side effects, etc.? Exogenous ketones are a new and exciting technology. They may give some of the benefits of ketosis without having to follow a ketogenic diet to trigger ketone production. Further research is required to fully understand how exogenous ketones affect performance, recovery and cognitive ability–but the early results are promising. We’re constantly reviewing the latest science and testing new ketone products. Subscribe and be first to know the results.